At SECURBOXE, we develop control products that are easy to use and increase productivity and satisfaction of medical staff. With these products, we help you meet the demands of modern medical services. The NARCOBOXE system is a revolutionary product that addresses some of health care’s, distribution and security of medication for the patient’s well-being. 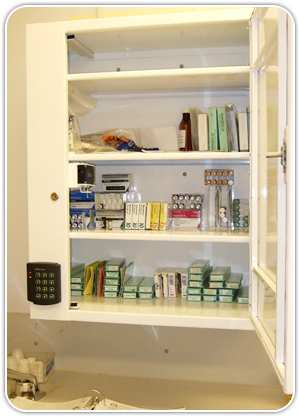 Two adjustable shelves will accommodate different size bottles, vials, boxes, etc. All your products are designed with one goal in mind: to improve the quality of life of the medical staff and everyone who uses our products.